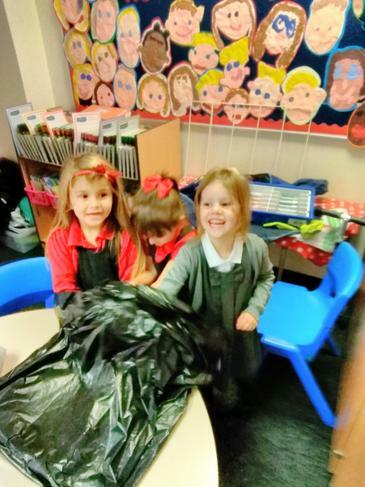 Our Learning Adventure began with somebody breaking in to our classroom and making a huge mess! 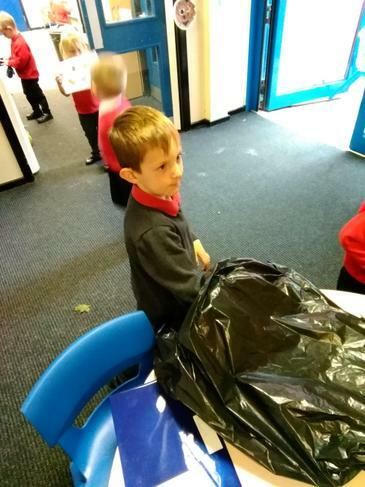 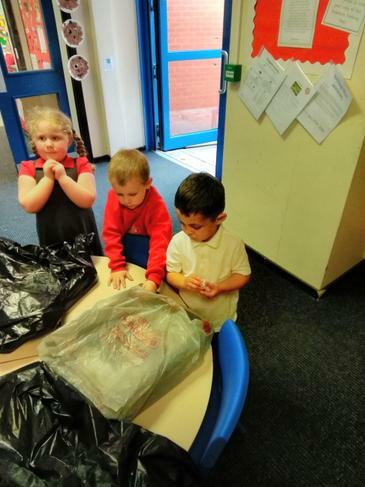 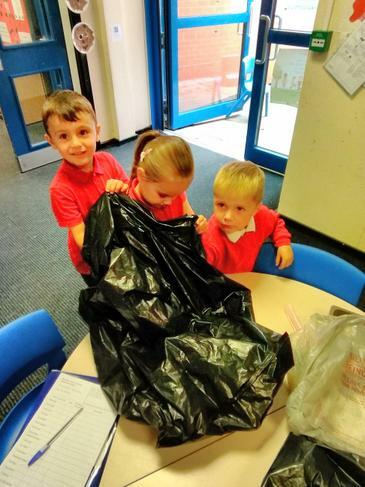 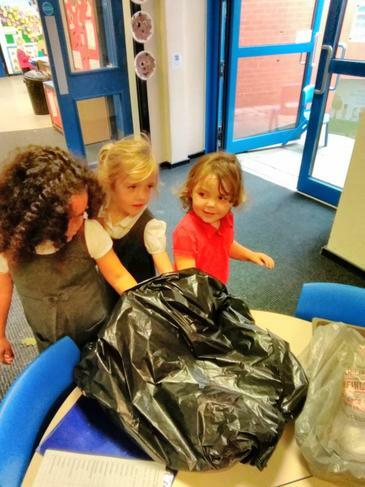 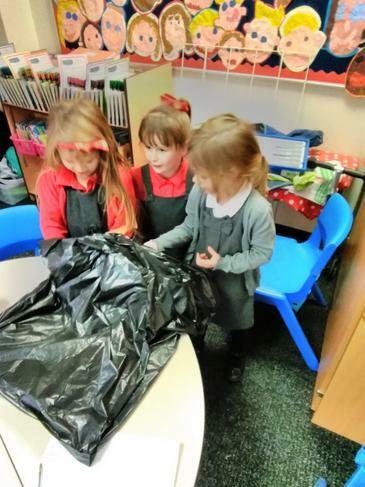 The children used their detective skills to work out who it could have been. 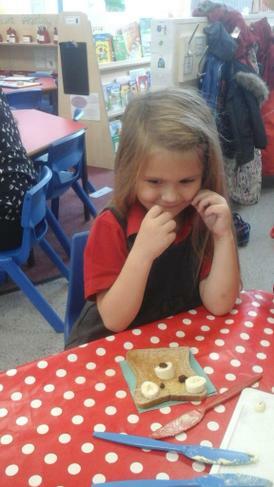 Luckily enough the culprit left lots of clues and the children soon worked out it was Goldilocks. 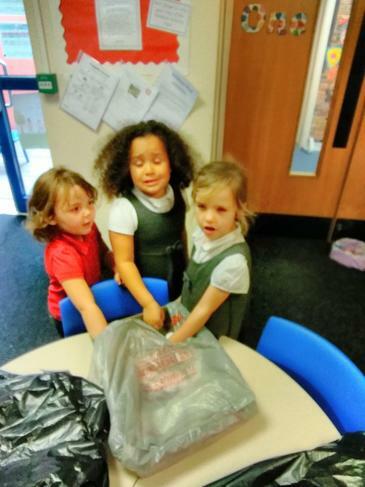 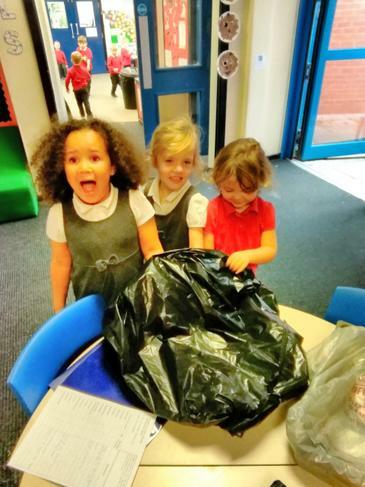 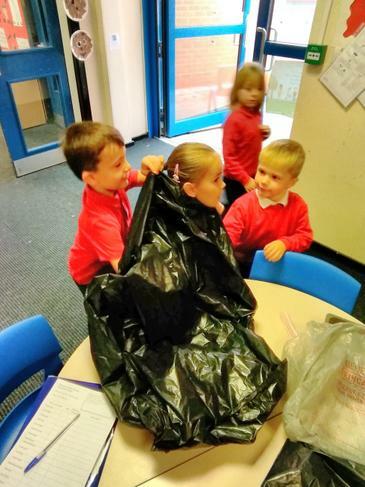 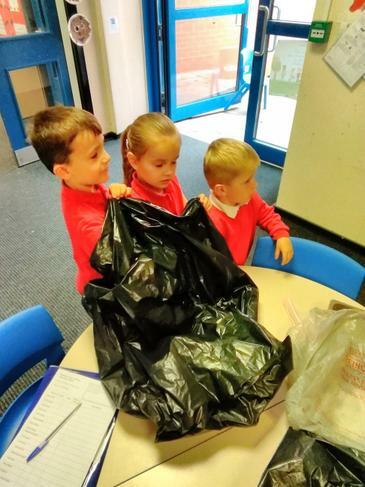 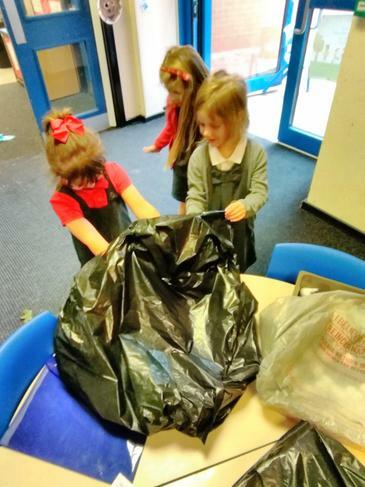 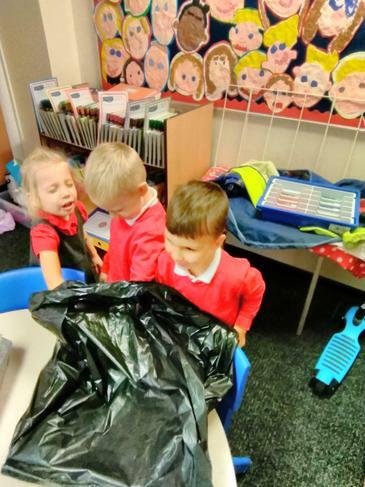 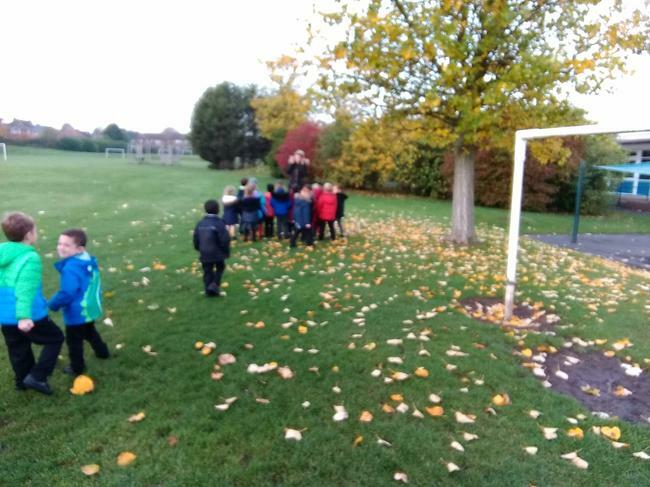 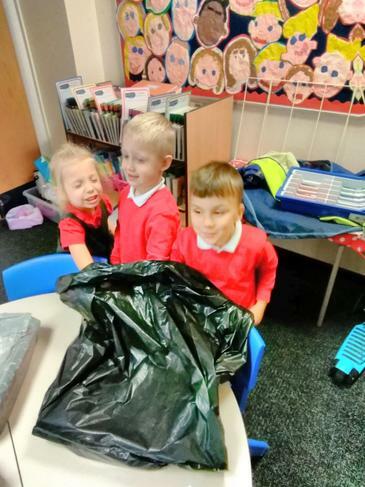 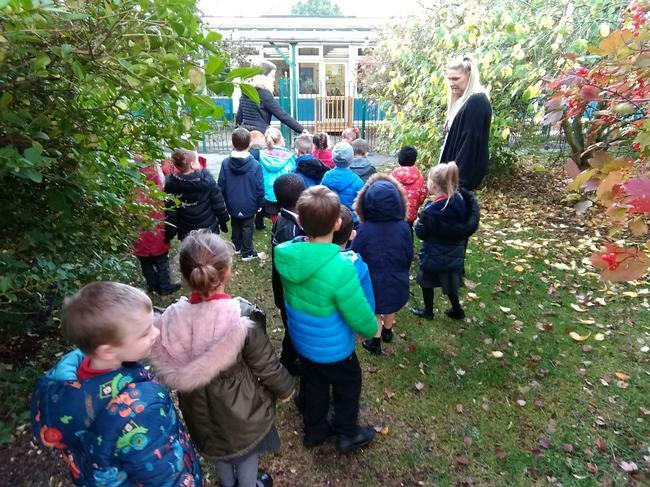 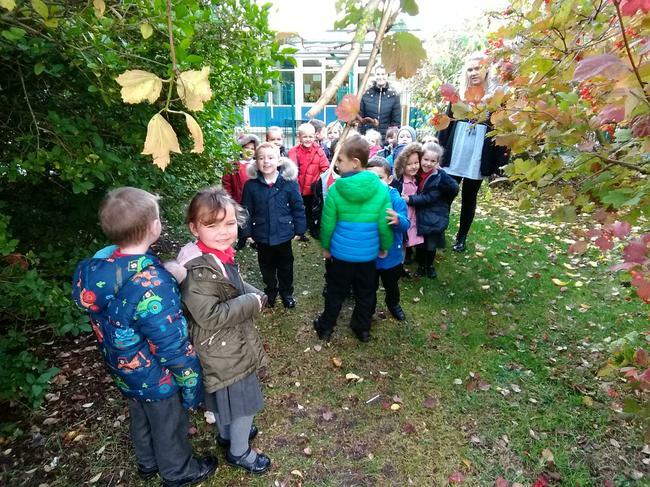 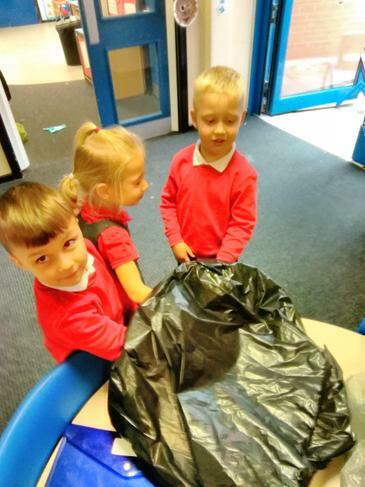 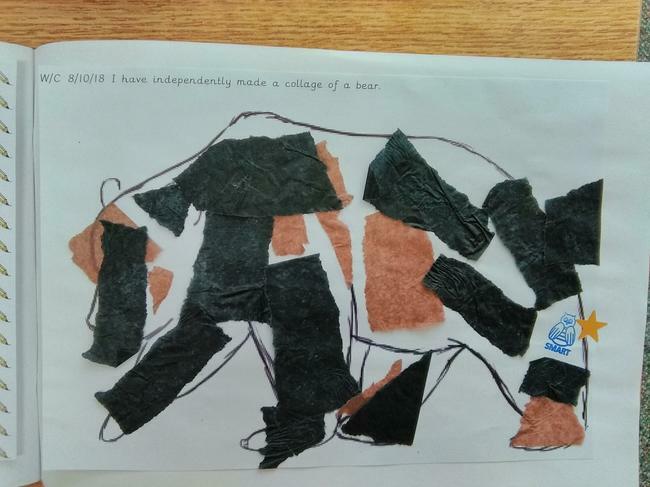 We had a phone call from the police this week to say that the bears had done something really bad to Goldilocks and they needed our help to find the bears. 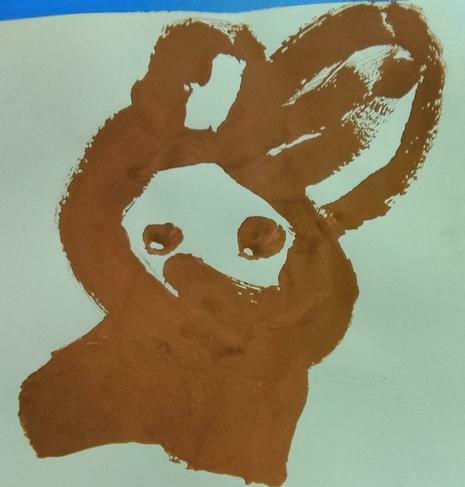 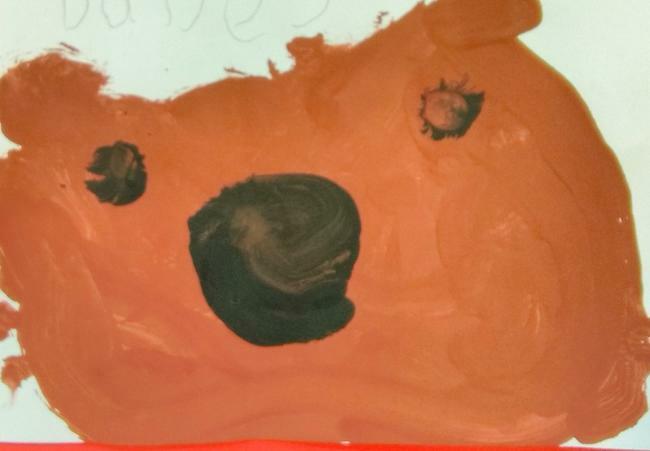 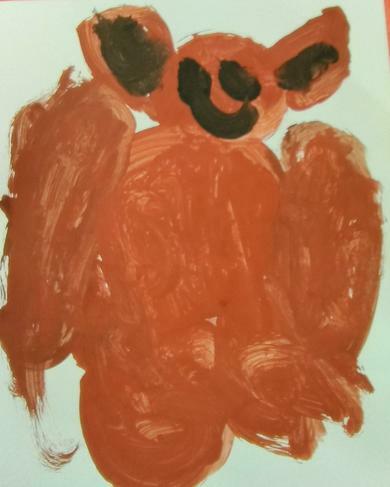 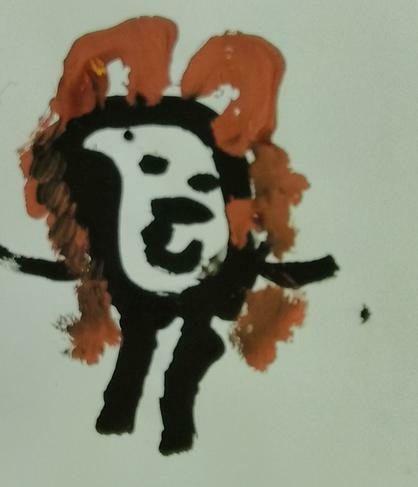 We have been really busy independently painting bears so that people can see what they looked like. 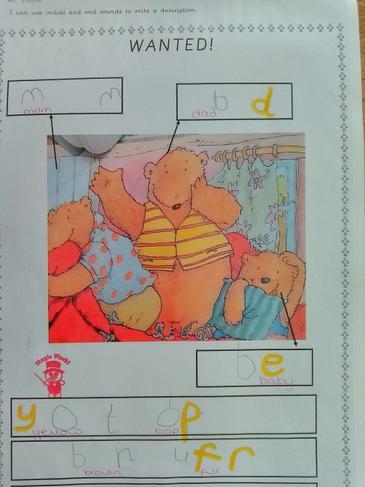 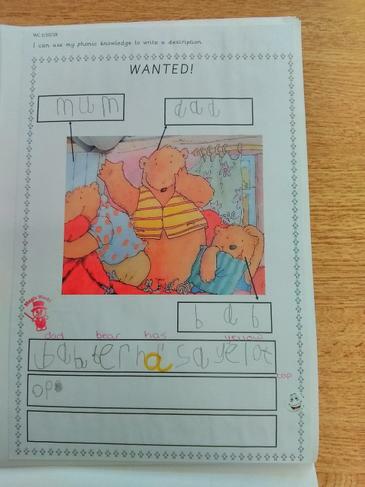 In Literacy we had to help the police to find the bears by making a wanted poster. 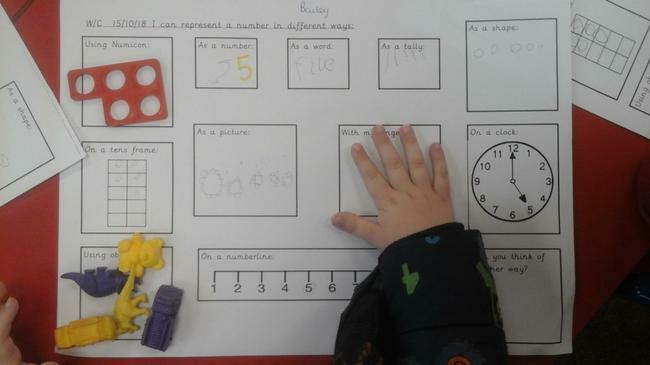 We all did a fantastic job and here are a few examples! 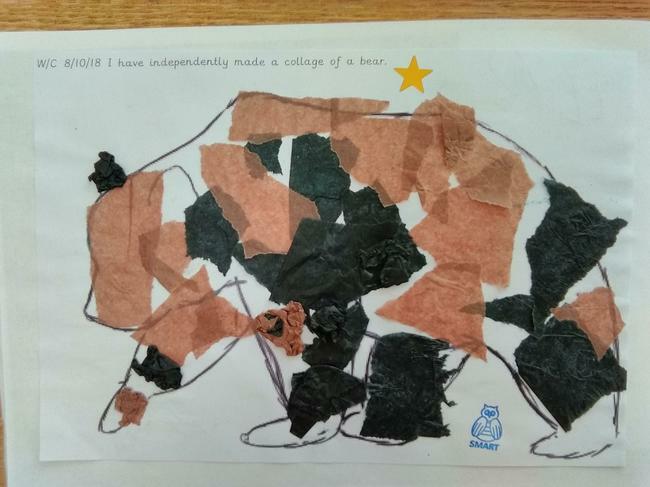 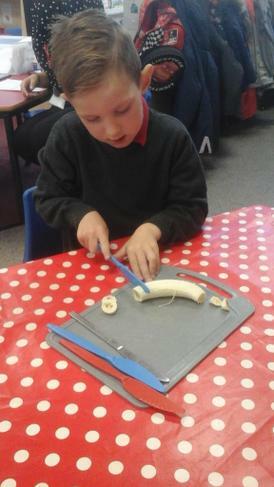 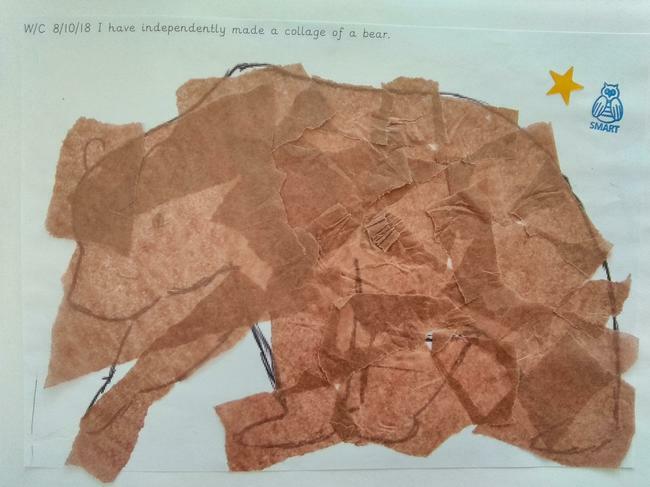 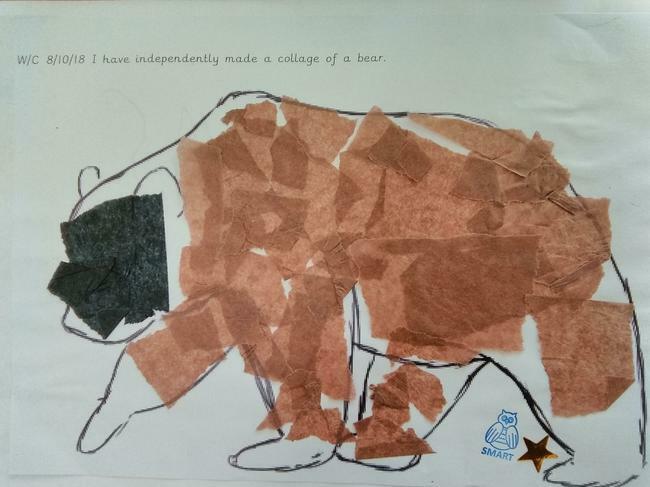 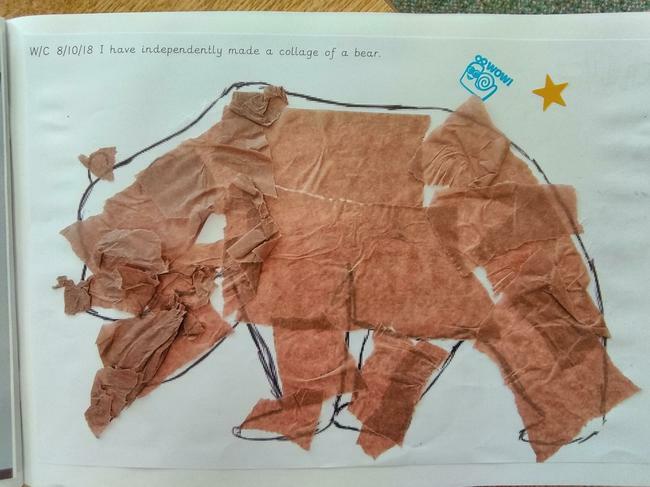 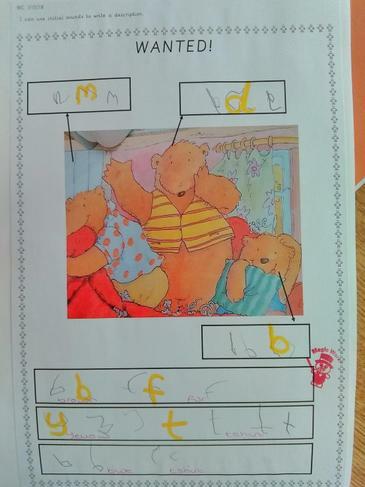 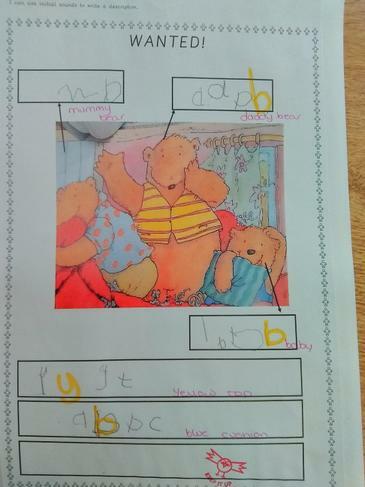 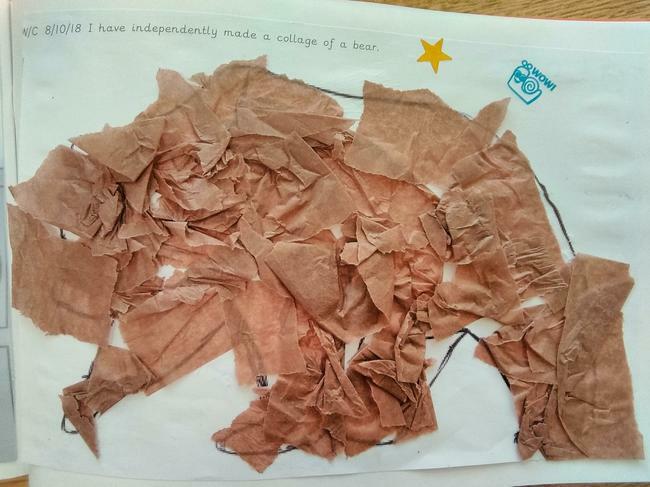 This week we have been looking at different materials and using them to create a bear collage independently. 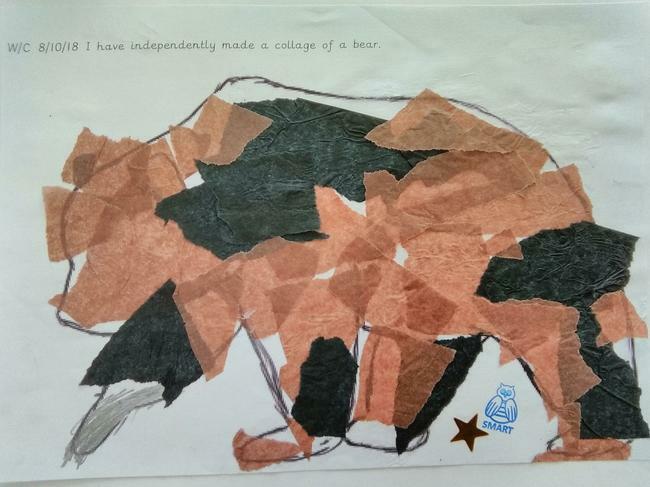 Here are a few pieces of our fabulous art work! 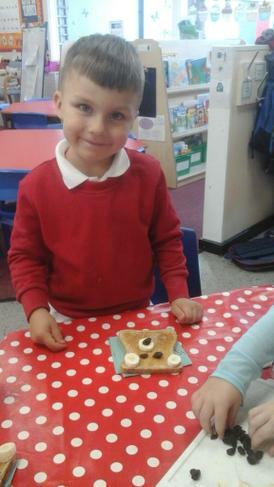 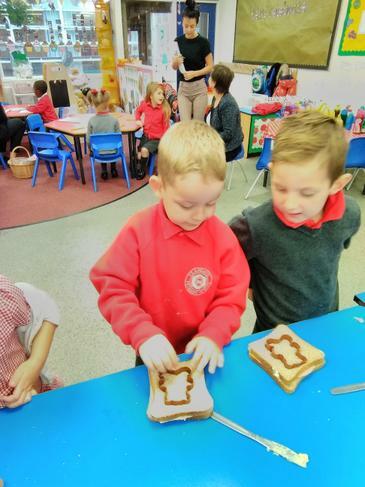 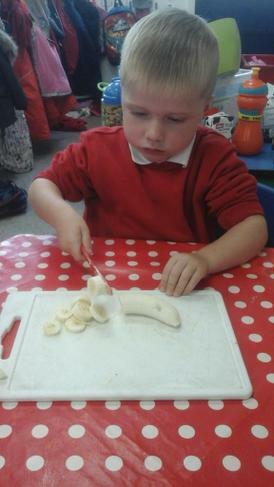 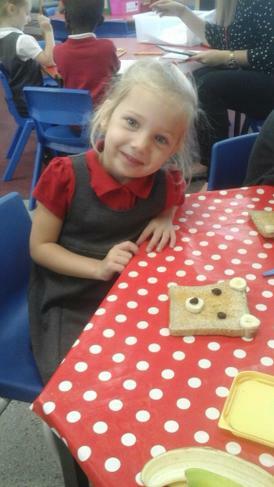 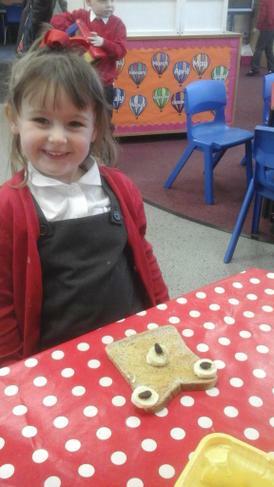 We have been really busy making toast designed like a bear. 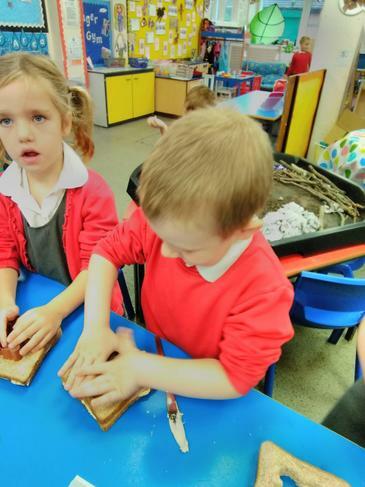 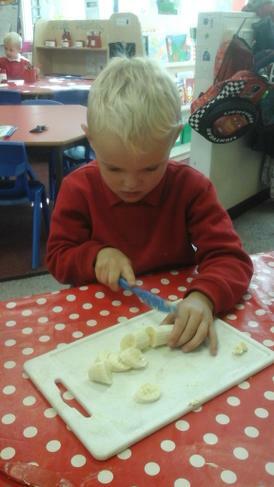 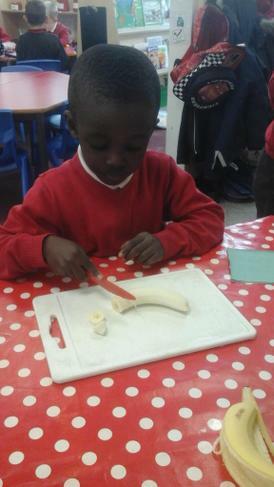 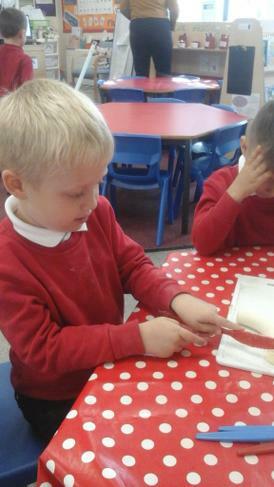 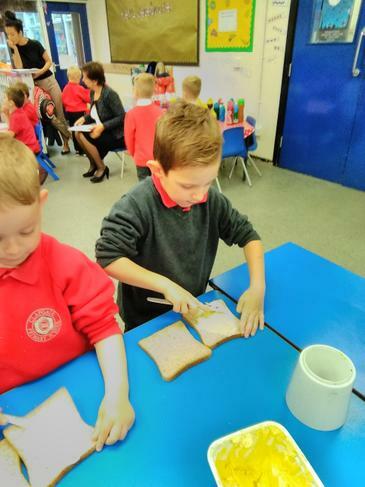 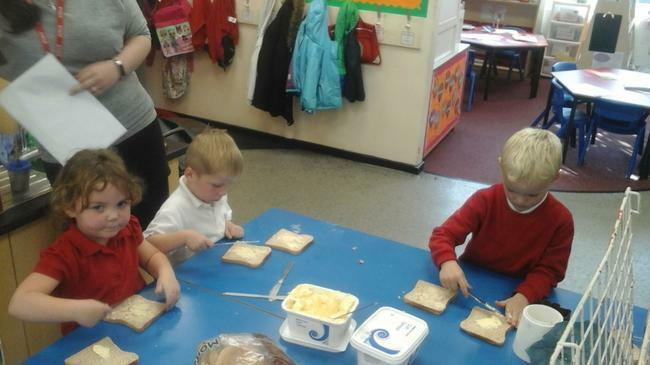 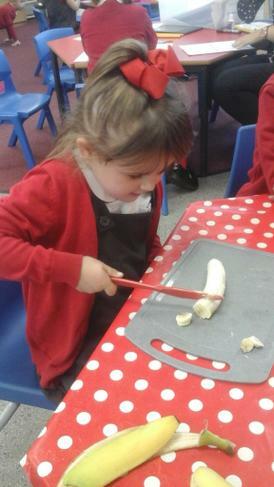 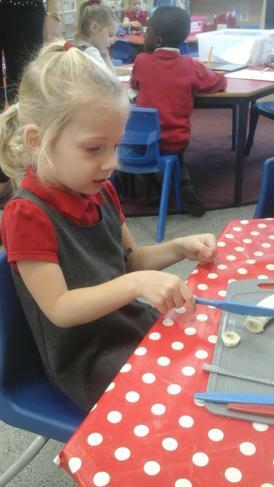 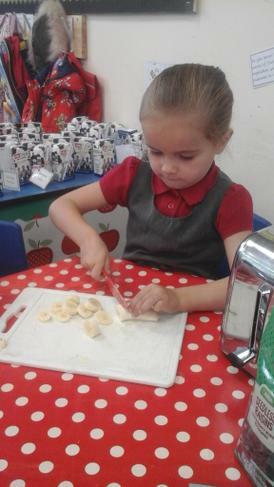 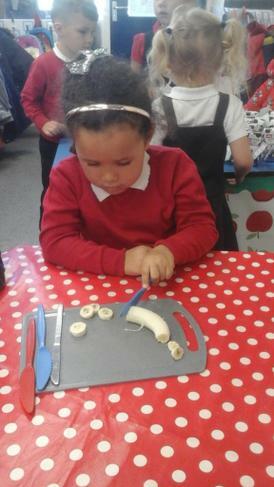 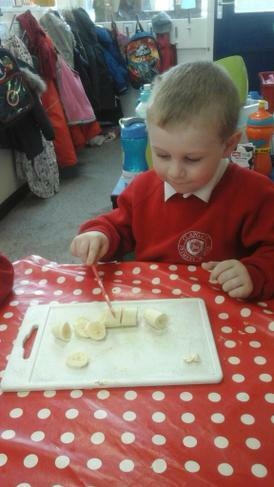 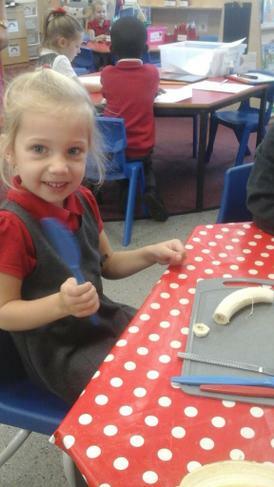 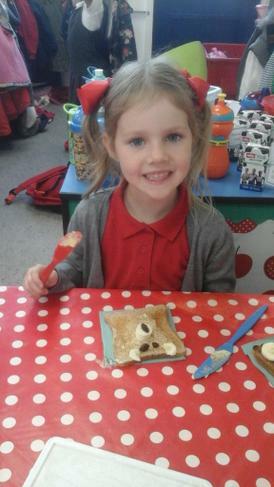 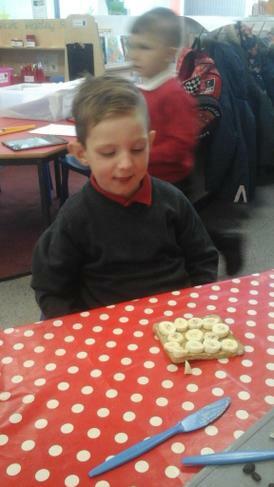 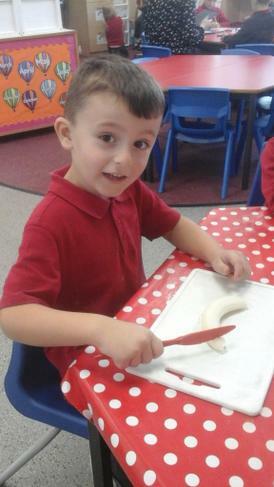 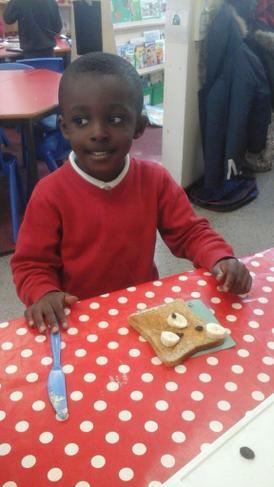 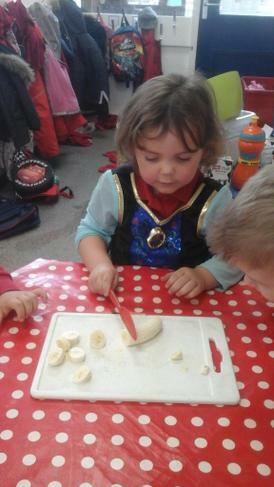 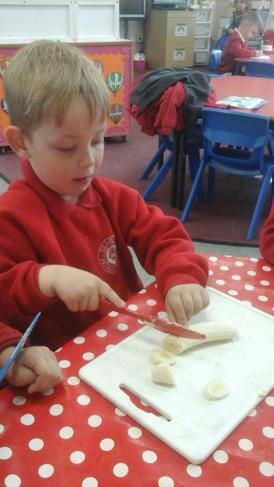 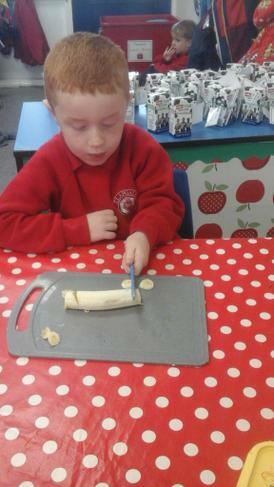 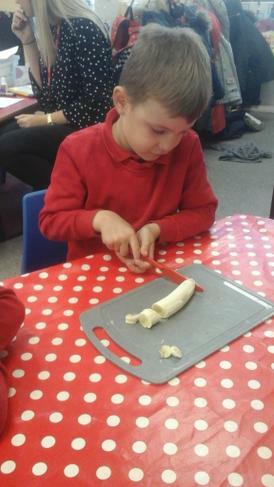 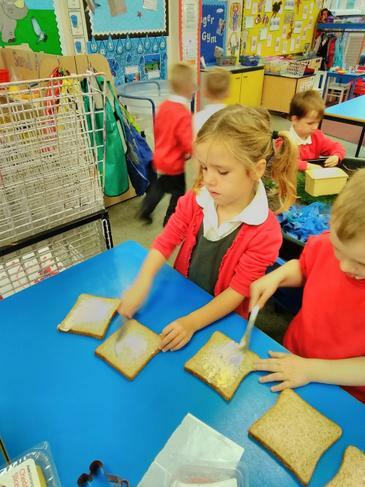 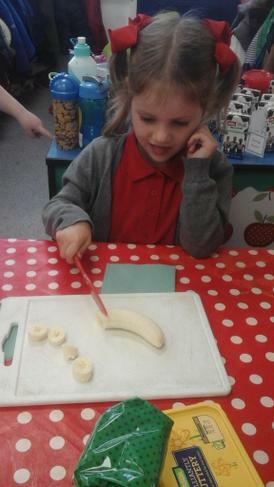 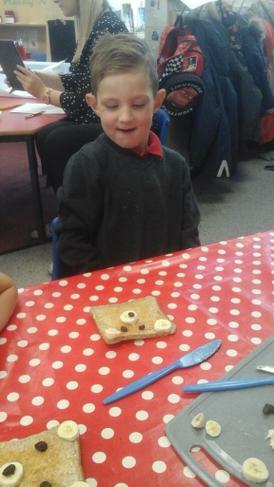 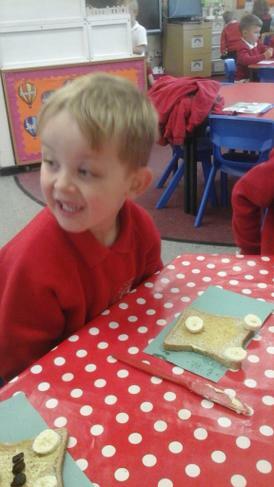 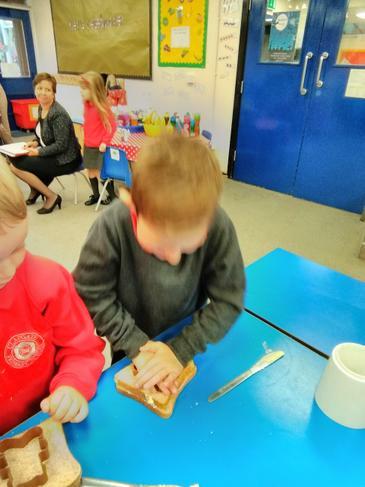 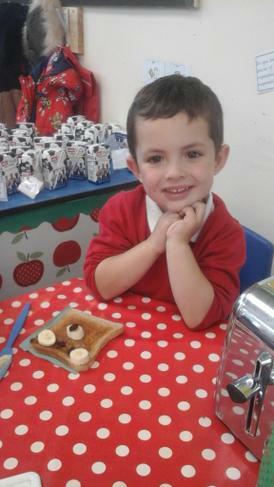 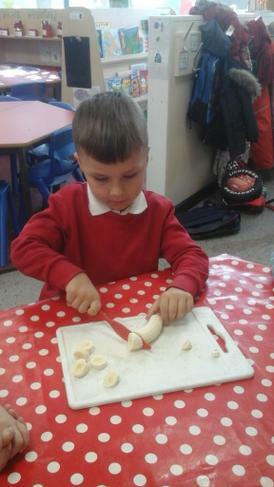 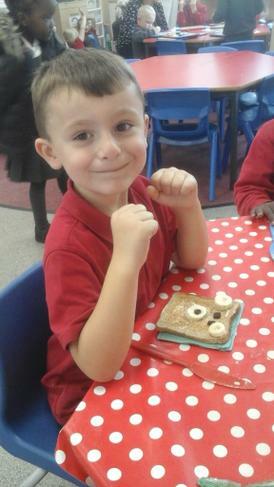 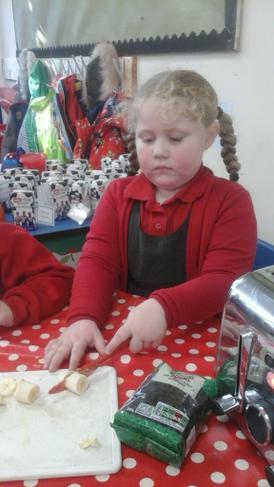 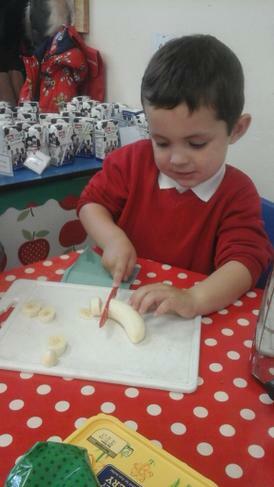 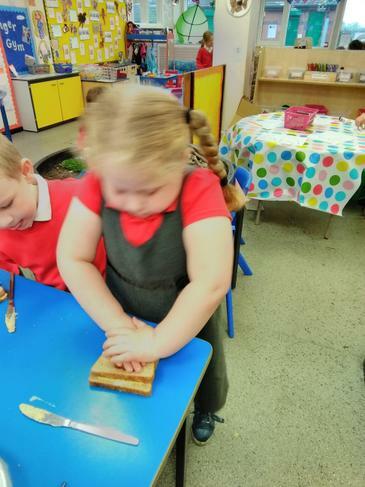 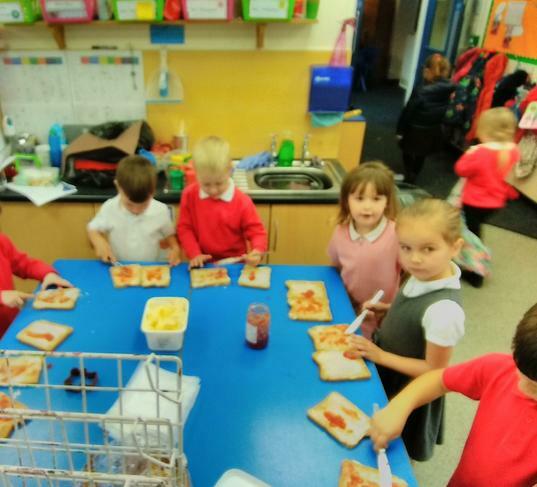 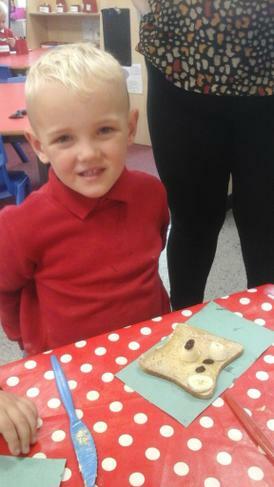 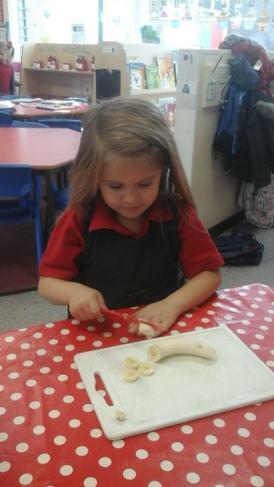 We talked about the importance of a healthy balanced diet and using the toaster and the knives, safely. 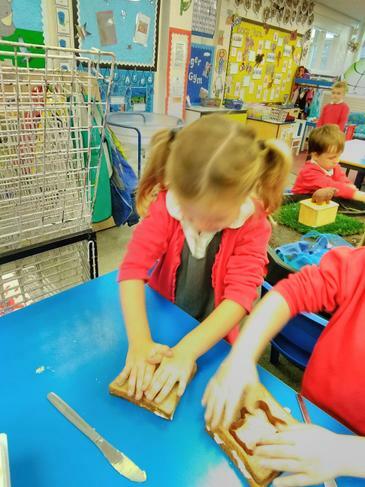 After reading "We're going on a Bear Hunt" we completed an activity where we felt different materials in a tray and had to describe how they felt. 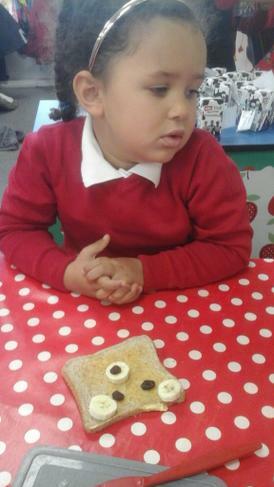 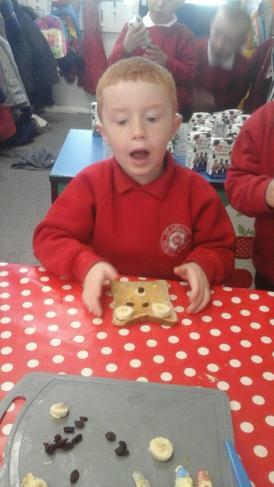 We had to guess what was in the tray and try and link it to a part of the story. 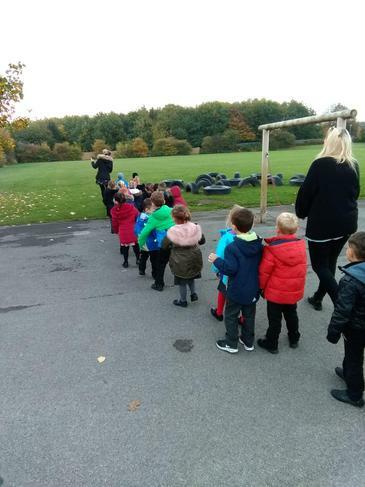 We had to feel cotton wool, ice and beans. 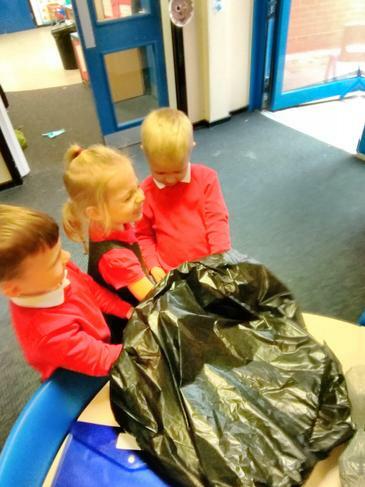 We did not like the beans! 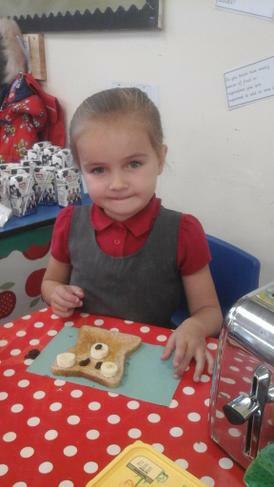 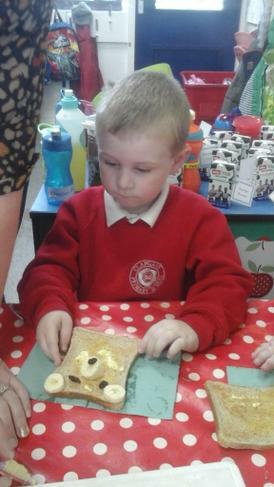 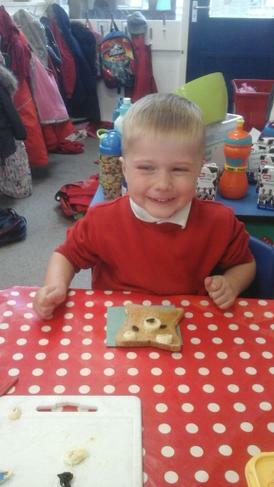 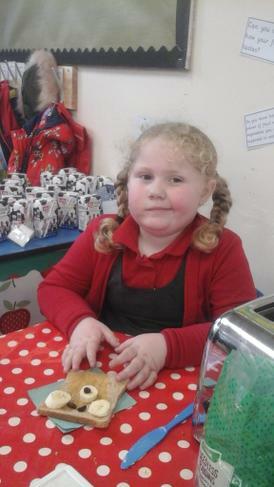 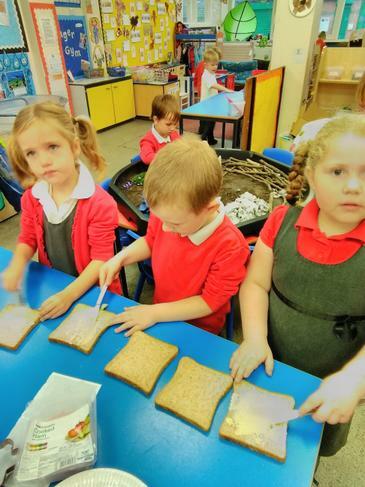 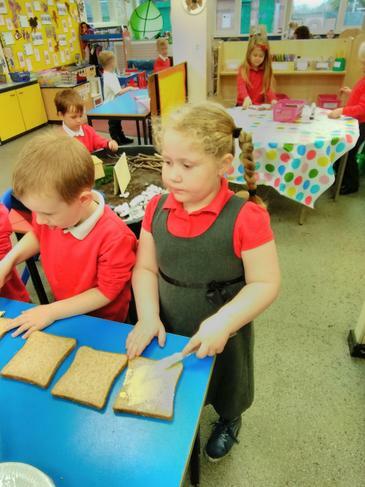 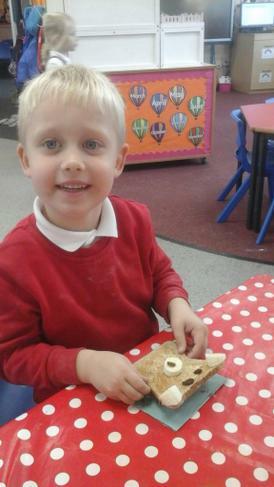 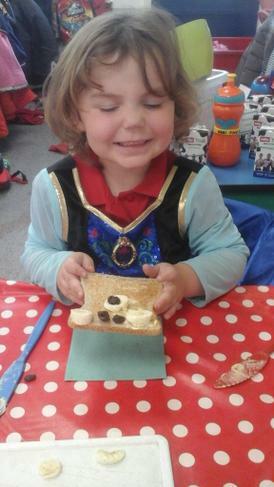 We prepared for our Teddy Bears Picnic by making sandwiches. 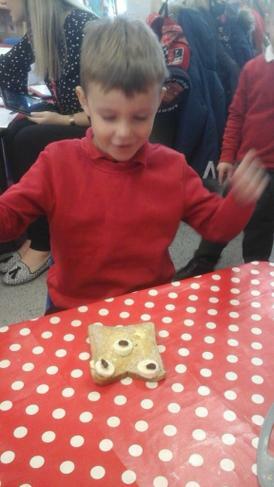 We were able to cut out sandwiches into bear shapes. 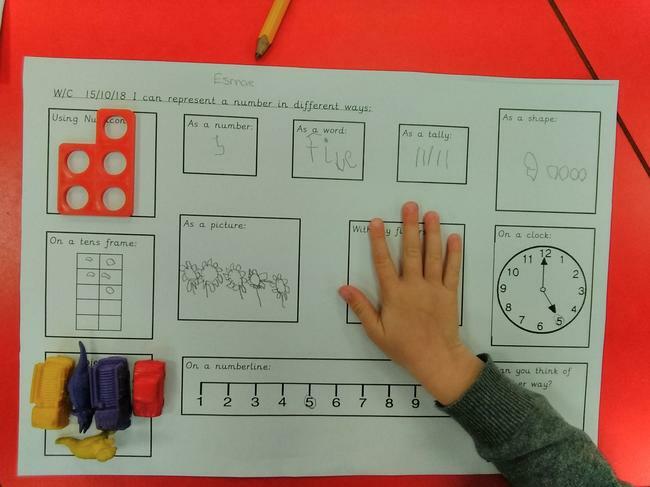 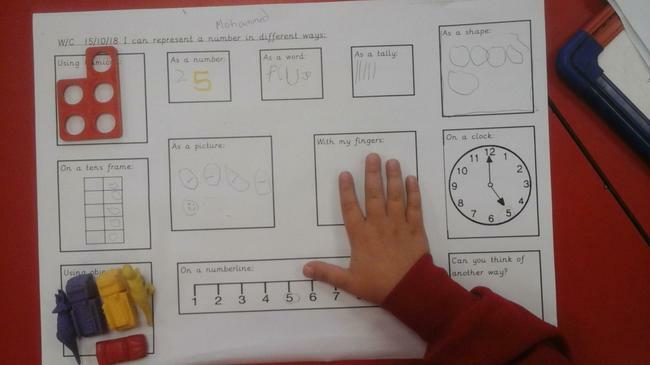 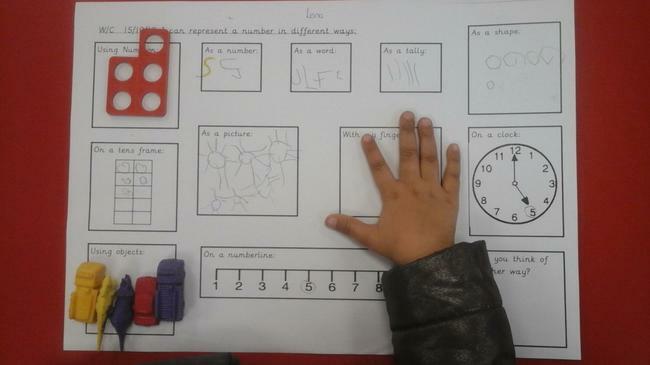 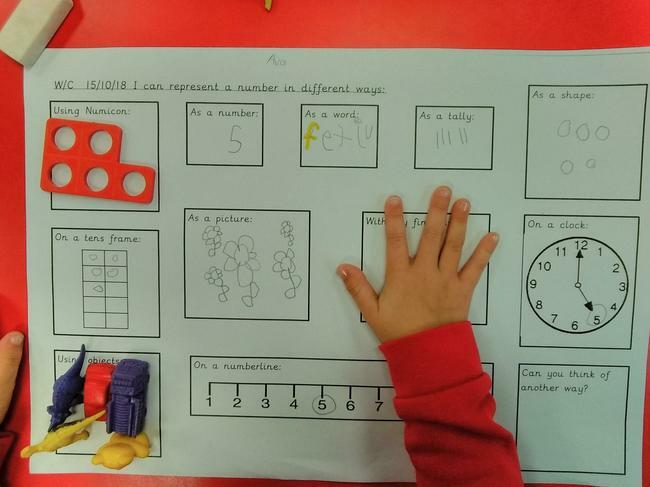 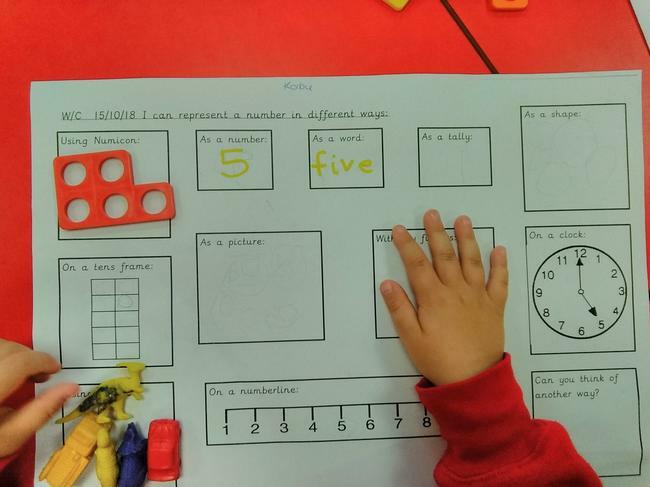 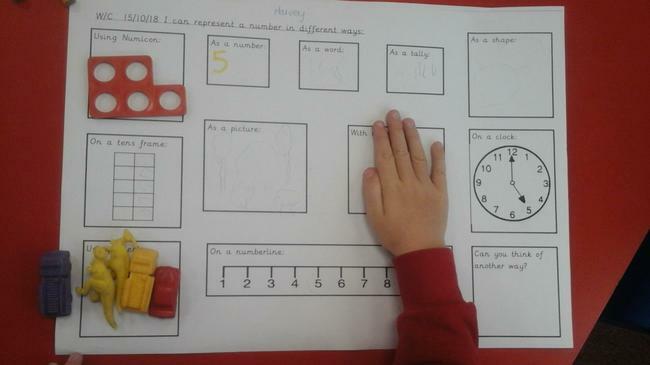 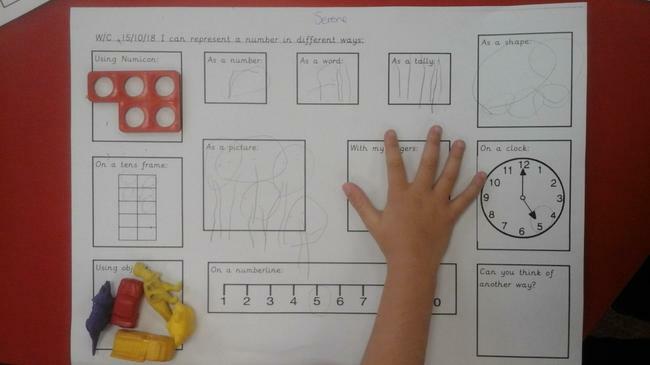 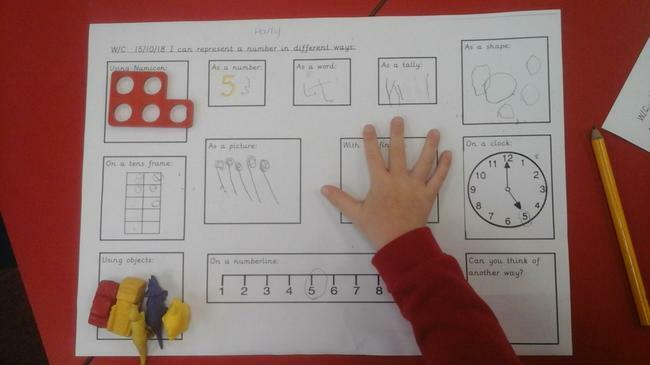 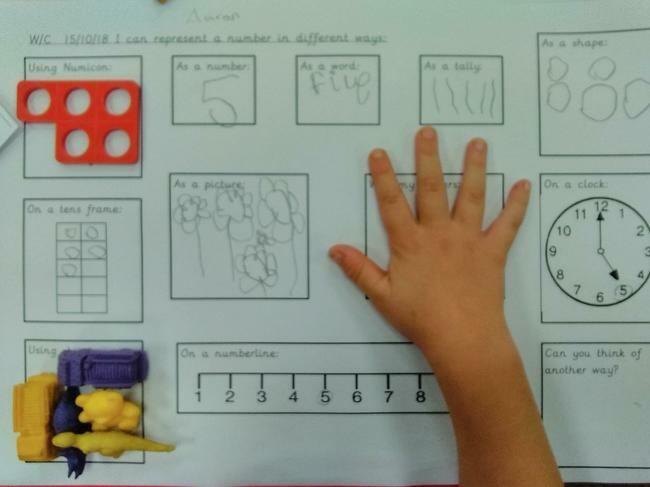 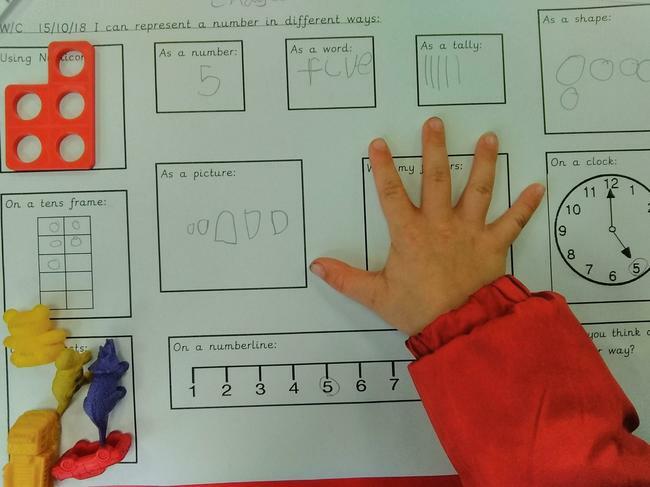 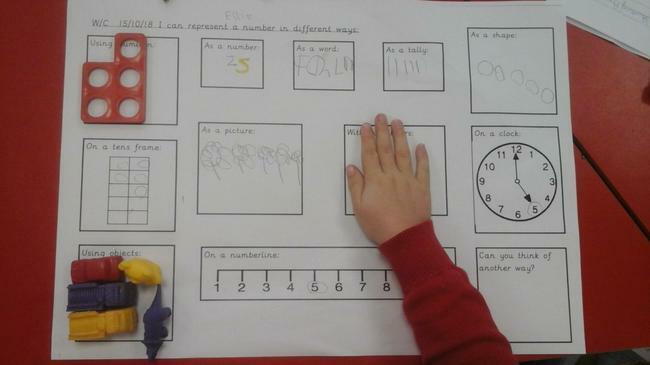 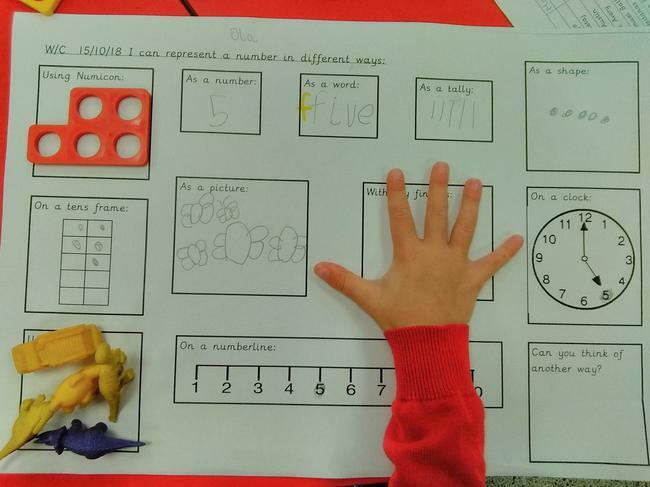 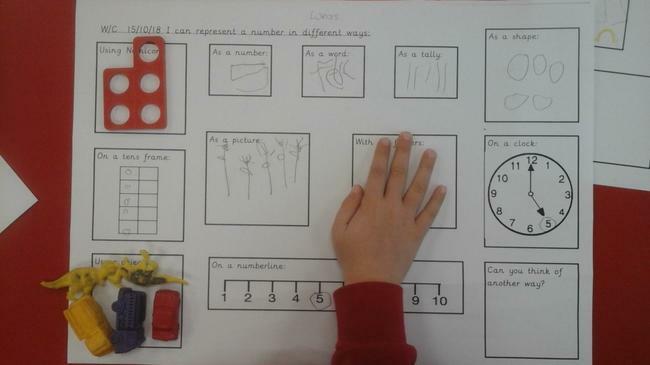 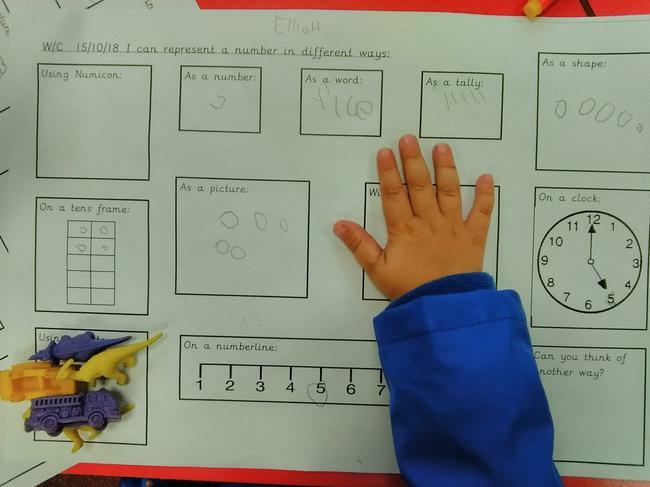 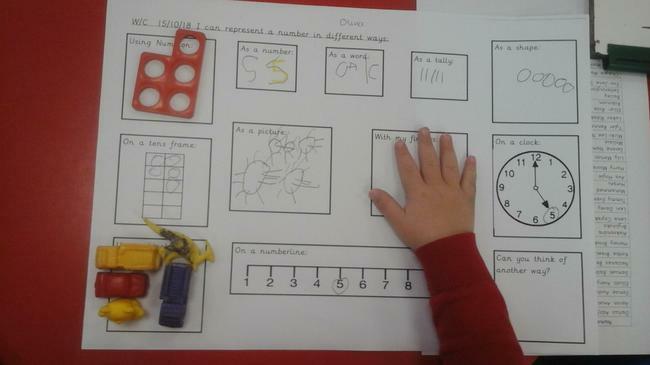 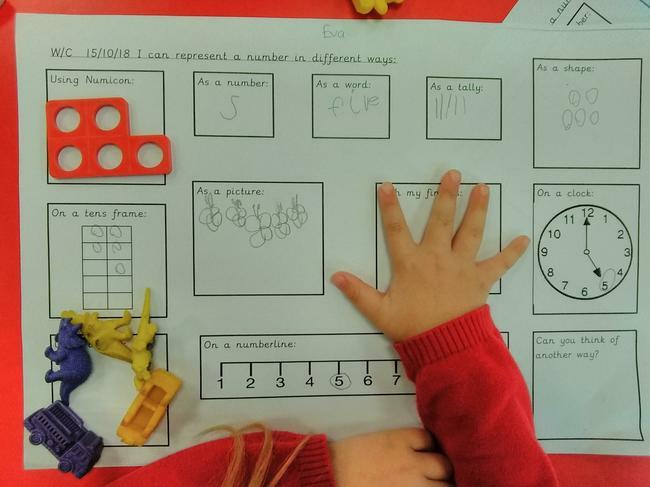 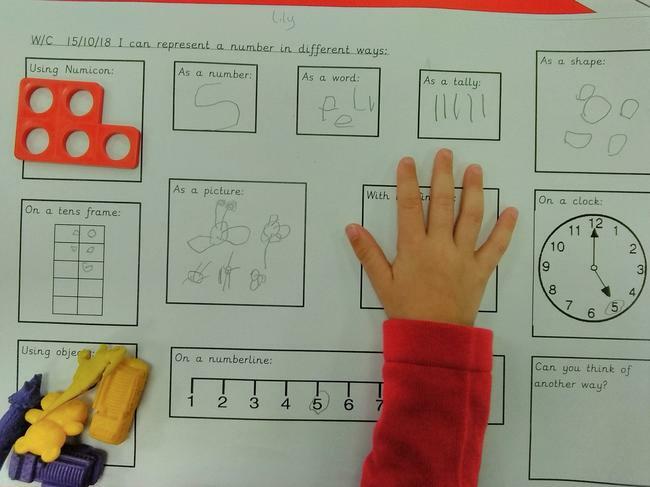 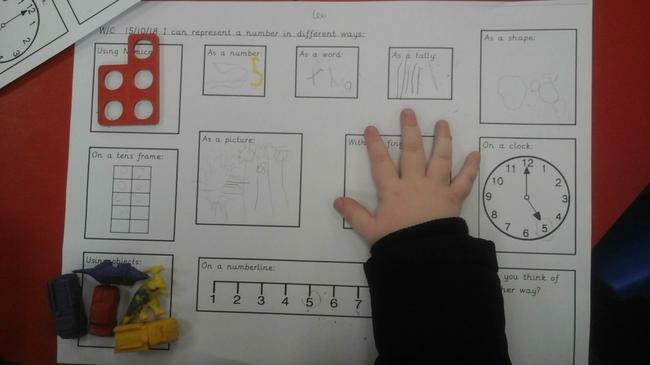 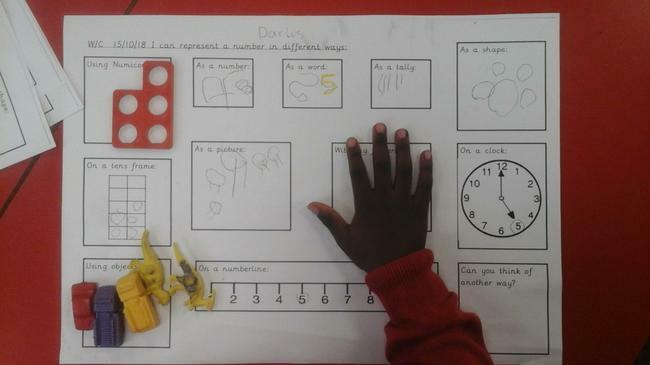 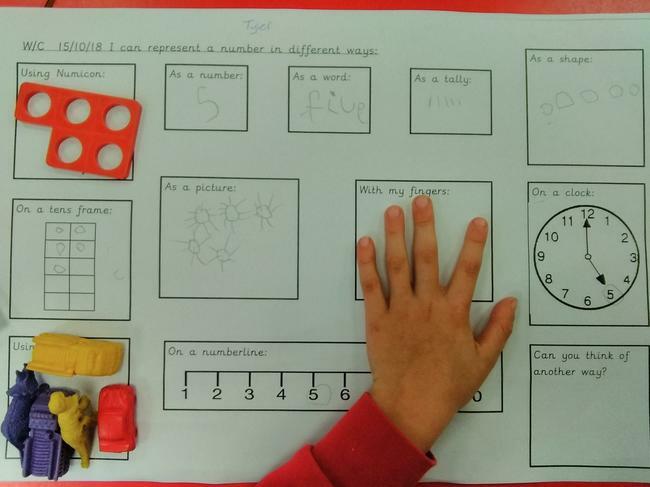 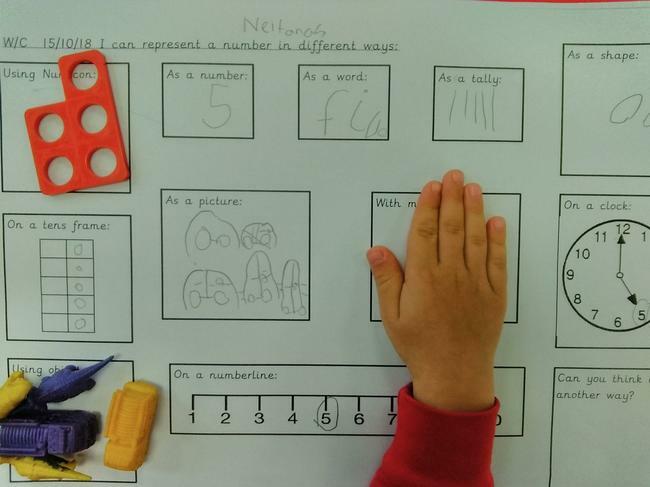 This week in maths we have been learning about number 5. 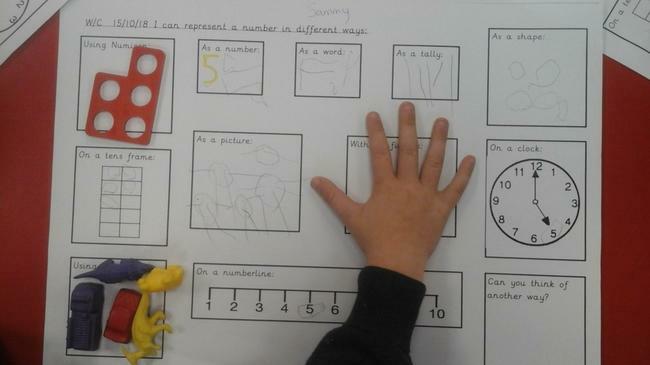 We can represent this in many different ways. 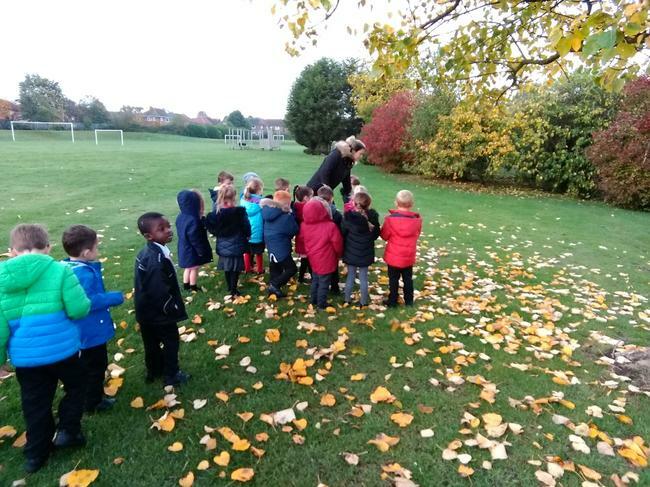 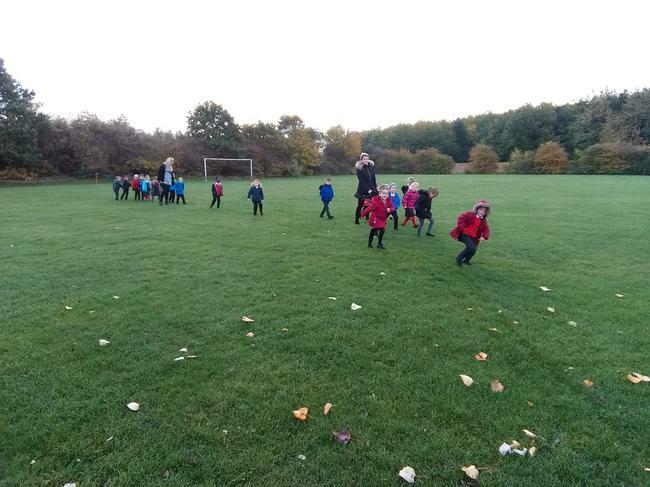 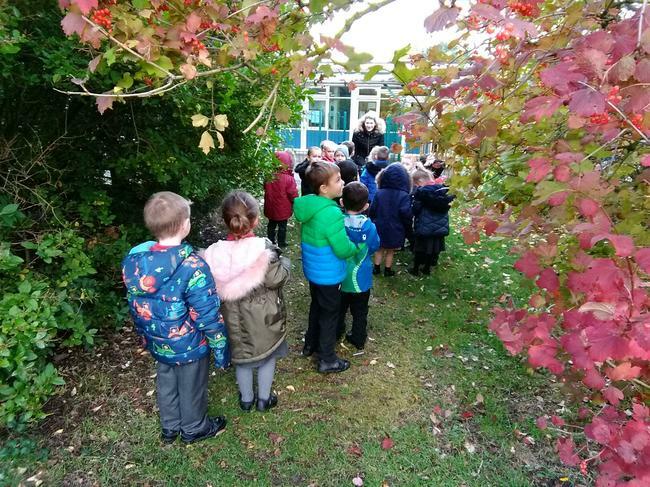 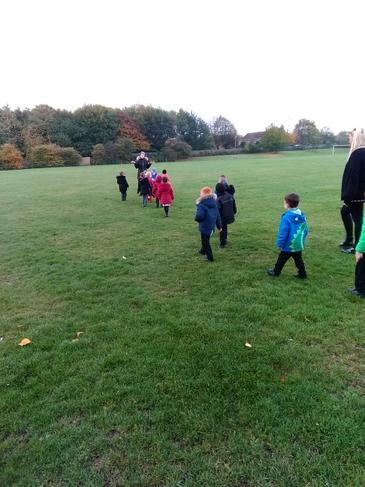 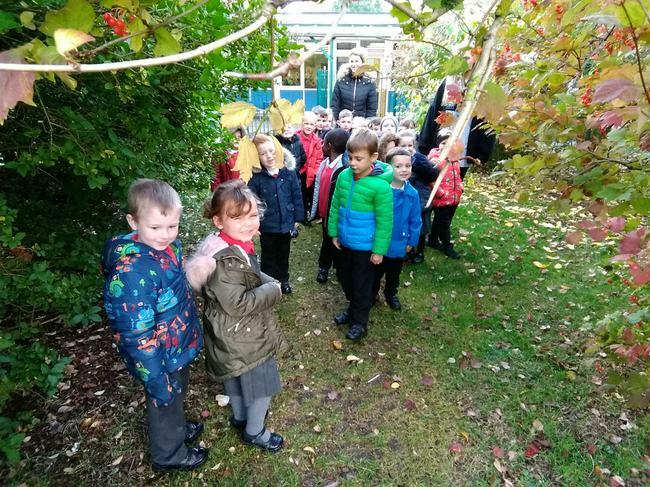 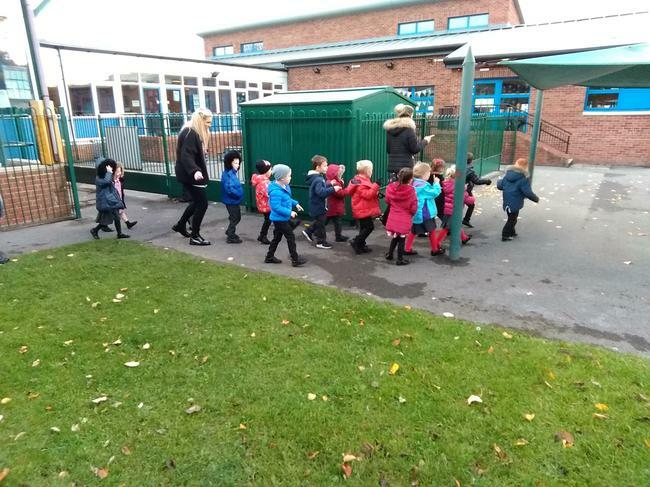 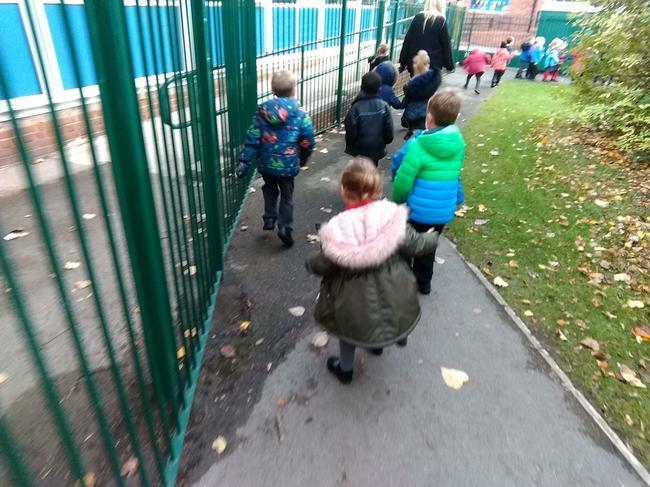 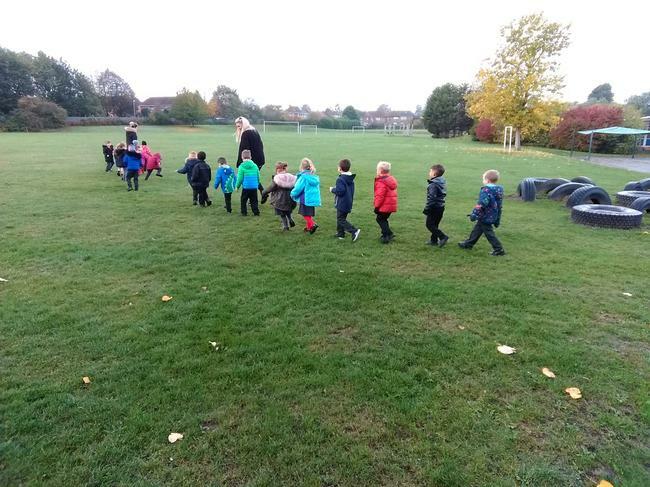 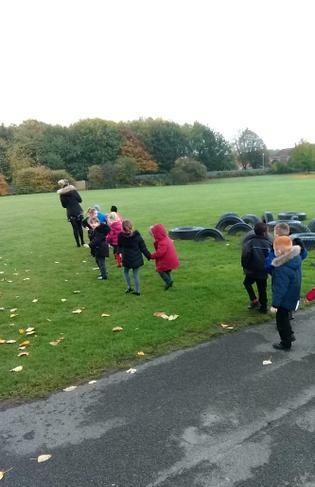 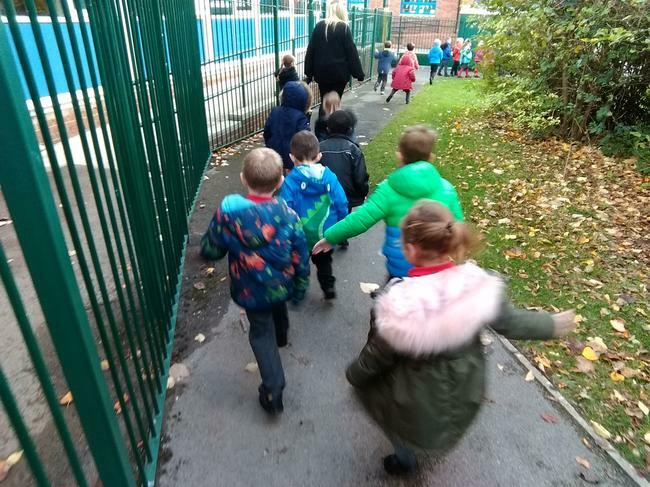 This week we used our imagination and went on our own bear hunt! 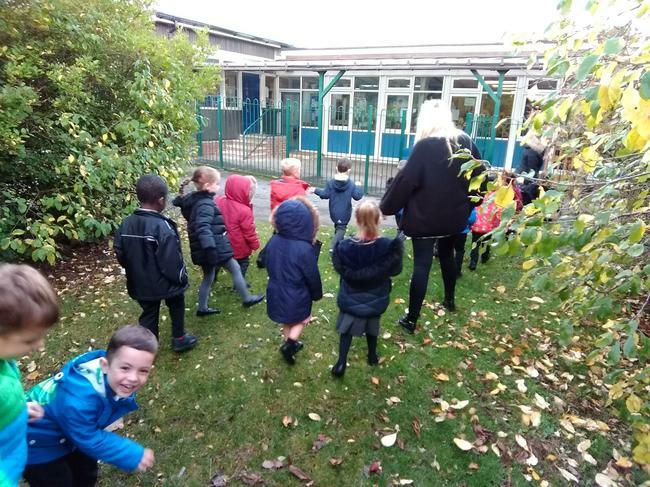 We travelled through the long wavy grass, the thick oozy mud, the deep dark forest, the deep cold river and the swirling, whirling snowstorm! 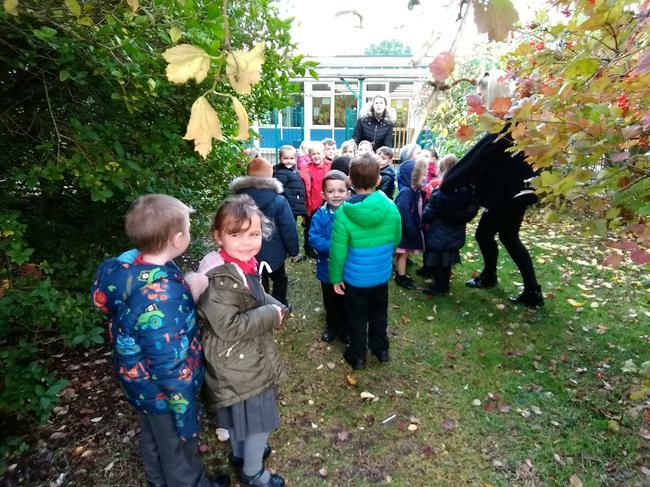 Finally we came across a narrow gloomy cave and we found a BEAR! 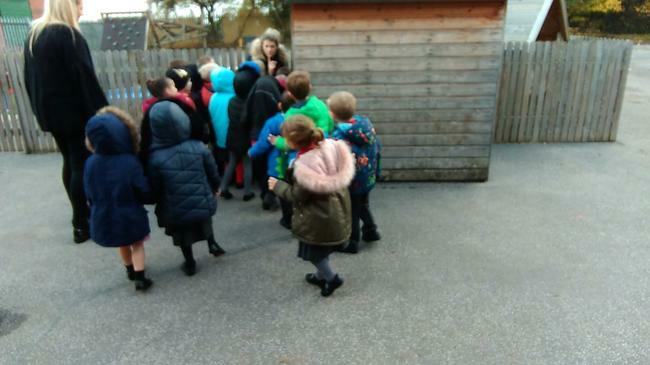 We ran back inside the classroom and locked the door as fast as we could. 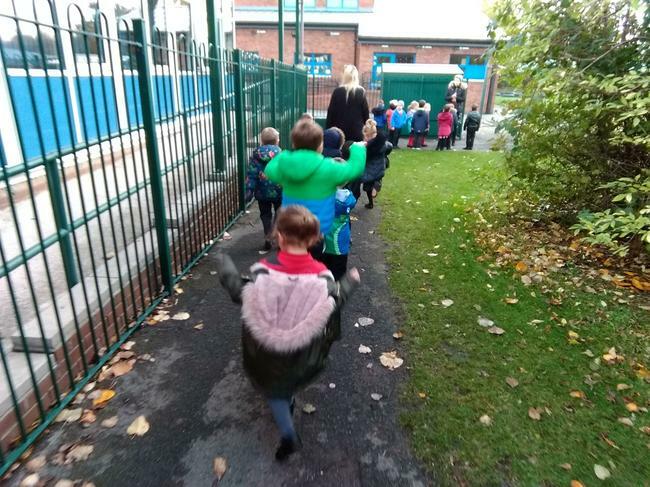 We're not going on a bear hunt again!